Spring is finally here – or is it? The sun keeps poking its head out just enough to tease but eventually it will be nice and sunny and barbeque season will be here! And it seems along with spring a new batch of scammers have also reared their ugly heads. The newest phone scam – fake tax agent. The scammer initiates a supposed three-way conversation between the scammer, the victim, and another scammer impersonating the victim’s tax agent. 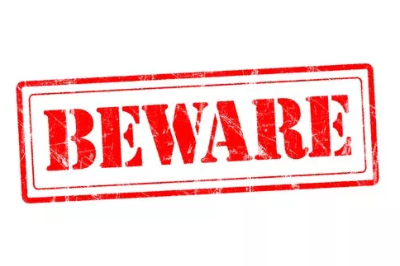 Example – scammer left a voicemail for Darren 1, advising they were from the ATO and that Darren would go to jail for five years if he did not contact the ATO due to an outstanding debt. Darren called back on the number provided and was advised to make a payment of $9,000 straight away, as the federal police had been assigned to the case and he would go to jail for five years if the debt wasn’t settled today. Darren provided the scammer with his tax agent’s number who was supposedly then dialled in by the scammer via a three-way conference call. A man by the name of Michael Grey answered claiming he was from the same practice as Darren’s tax agent. ‘Mr Grey’ said that Darren’s tax agent was in a meeting and not available. A fake conversation was had between Mr Grey and the original scammer with Mr Grey agreeing there was an error with Darren’s tax return and that he owed money to the ATO. Mr Grey told Darren to go to a specific location and pay the $9,000 today. Darren withdrew cash and deposited it into a Bitcoin machine. · They will tell you a complaint has been made against you and you are committing tax fraud or claim that you have to pay a debt that you know nothing about. · They may threaten immediate arrest or court if you don’t call them back or pay straight away. · They won’t provide explanations or allow you to ask questions about the debt and often get aggressive or abusive. · They will ask you to pay using unusual methods of payment that the ATO does not use such as iTunes, Bitcoin cryptocurrency, store gift cards or pre-paid visa cards. · They may offer a tax refund, but you have to provide a personal credit card number for the funds to be deposited into. They don’t deposit money but instead steal funds from these cards without the knowledge of the cardholder. The ATO does not issue refunds to credit cards. To avoid falling prey know the status of your tax affairs – if you are aware of the details of debts owed, refunds due and lodgements outstanding, you are less likely to fall victim to a scam. If you receive a call like the example above, it’s OK to hang up and phone us to check if the call was legitimate. In business, failing to plan is planning to fail so you need to prepare a cash flow budget for your first year of trading. Consider preparing figures based on your best and worst-case sales scenarios. 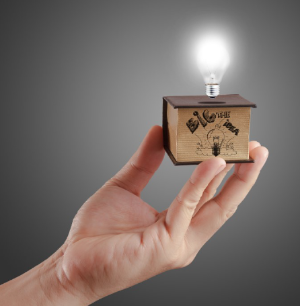 It’s not easy to project your revenue when you haven’t opened your doors, but you can’t afford to wait for more certainty regarding your sales projections and costs. Remember, a positive cash flow is a necessity if your business is to succeed and positive cash flow just doesn’t happen, it needs to be planned. Any new business owner that fails to accurately forecast their cash flow for the first 12 months could find themselves on a collision course. Without realistic cash flow projections, management cannot identify future cash shortages and a bank won’t look favourably on a request for additional funding in the early stages of operation. When preparing your cash flow budget, you need to make a number of assumptions regarding the financial performance of the business and these assumptions must be supported by research, available data plus known facts such as rent and forward contracts. Of course, positive cash flow alone is not enough. The business must be returning a profit and the long-term trend for both must be positive. All too often we hear of profitable businesses that collapse due to insufficient cash flow. As accountants we can do some financial modelling for you and produce cash flows based on different price points and scenarios. Preparing a cash flow forecast starts with projecting your sales. You’ll need to make assumptions on pricing plus you’ll need to factor in things like the seasonality of your business and the state of the economy. From a cash flow point of view, you need to think about how quickly you’ll get paid after invoicing your customers. Ask yourself, if you expect to be paid in 30 days what would happen to your cash flow if that blew out to 90 days? Would you need to borrow more from the bank at that point? Extending your overdraft or sourcing extra loans after a few months of trading would set off alarm bells at the bank. costs, website production and furniture. You then need to look at your fixed costs like monthly rent, insurances, rates and internet. Finally, look at the costs that vary based on your sales including wages and material inputs. Cash flow projections can be a jigsaw to put together, but you are the most qualified person to make all the sales and pricing assumptions. You’ve researched the market in your industry, know your competitor’s prices and have developed your points of difference. should prove the financial viability of your business and provide an overview of where you plan to take the business and how you intend to get there. It can be expressed as a series of objectives and then detail the strategies, tools and people who are going to make it happen. If you are in the services industry, you probably rely on leads to sustain and grow your business. With Facebook lead generation ads you can collect leads straight from the social platform. The upside of Facebook lead generation ads is that it offers Facebook users the option to request a call or more information without clicking through to your website. The penalties related to serious breaches of the watchdog’s record-keeping laws. The store was investigated over allegations the franchisee had underpaid six international workers, but on investigation, the documents provided to the Ombudsman did not accurately reflect the wage rates the company had paid to the employees. The workplace watchdog then requested further information from the company’s accountant, superannuation fund and bank which did not match up with the information originally provided to the Ombudsman and the company was then taken to court over alleged falsification of records. The Federal Circuit Court Justice Alexander Street found them guilty in June 2018. If you have any concerns about the level of wages you are paying your staff or need some assistance with your record keeping, contact us today. The plan is to contact nearly 250,000 more taxpayers compared to the past financial year with the majority of incorrect claims centred on rental and work-related expenses. inconsistencies in what people are reporting as their declared income in their tax returns (and unexplained wealth of small business owners) and what their social media accounts reveal about their lifestyle. who do the right thing, and identify and take action against those who choose not to.” ATO staff are only able to access “publicly available information”, with the ATO stating “there is a lot of information that can be viewed on social media sites without using a login”. How businesses report their payments to staff to the Australian Taxation Office changed on July 1, 2018. Single Touch Payroll (STP) became compulsory for employers with 20 or more employees which means employers will be reporting their employee’s salaries and wages, pay-as-you-go withholding and superannuation information via their payroll software each time they make a payment to staff. 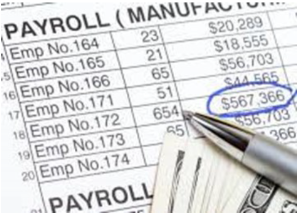 From July 1, 2019 employers with 19 or fewer employees will need to comply with the Single Touch Payroll. At the start of each new financial year, the high-income threshold for unfair dismissal claims also changes. From July 1, the threshold increased from $142,000 to $145,400. If an employee’s annual earnings exceed this threshold and they are not covered by a modern award or enterprise agreement, they will not be able to bring an unfair dismissal claim. If an employee’s annual earnings exceed this threshold, you will be able to make a guarantee of annual earnings with him or her and preclude application of any modern award that would otherwise apply. The maximum amount the Fair Work Commission can order in compensation for an unfair dismissal case will also increase to $72,700 for dismissals occurring on or after July 1, 2018. This is an increase of $1,700 from last year. They have also indicated that cryptocurrency ownership and earnings from the sharing economy like Uber, Go Catch and Airbnb are hot spots. 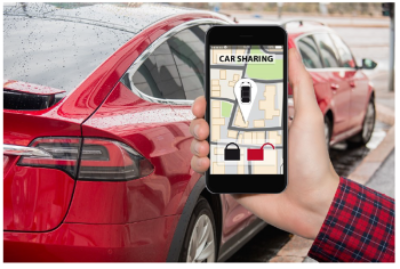 If you generate income from other car-sharing groups like CarNextDoor, Carhood and DriveMyCar rentals you are on notice. The services have picked up in popularity in recent times as a way for Australians to earn a bit of extra cash on the side. However, it’s that extra cash the ATO is keeping its eyes on. Tax deductions are available for the percentage of home phone and internet costs used for work, but the ATO reminds taxpayers they must be able to show itemised evidence of their claims. For example, when claiming a percentage of your telephone bill, you must be able to show “itemised phone accounts from which you can identify work-related calls, or other records”. The Tax Office is wary of taxpayers claiming the entire amount of an expense even though a small percentage was work related (e.g. mobile phone). are in fact deceased and therefore cannot hold bank accounts, shares or property and that the executor appointed in the will is legally entitled to wind up the affairs of the estate. upon completion, this TFN will not be used again. There are a few other differences when completing this final tax return. Firstly, the executor will need to print the words “Deceased Estate” on the top of the first page of the return, sign the tax return on behalf of the deceased and show the name of the taxpayer as “The legal representative of <person’s name>, deceased”. Also, at the question, “Will you need to lodge an Australian tax return in the future?”, answer the word “No” or put an ‘X’ in the box. Assessable income earned or derived and deductible expenses incurred, up to the date of death should be included in the tax return. 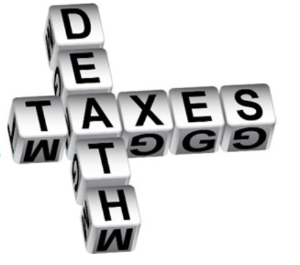 Any income earned and deductible expenses incurred after the date of death (for example, from investments) will need to be dealt with in the deceased estate’s Trust Tax Return – not in the final return of the individual. 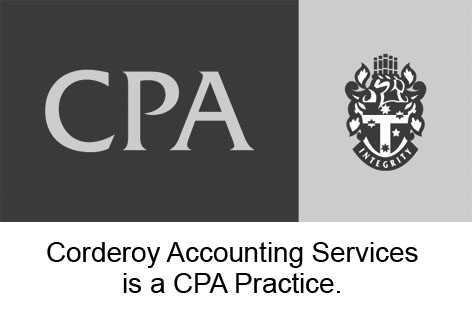 The treatment of capital gains or losses would be dealt with in a similar way and if the deceased person had accumulated losses, these can be offset against income in the final tax return (capital losses may be offset against capital gains) but can’t be carried forward into the deceased estate. Ordinary losses, as well as capital losses, that can’t be offset in this final tax return will lapse.